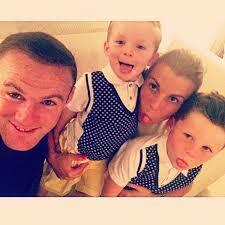 Home › Bedtime Stories › Once Upon A Time: Wayne Rooney, Croxteth’s back street Boy. A bedtime story. 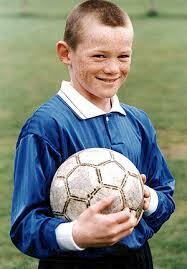 Once Upon A Time: Wayne Rooney, Croxteth’s back street Boy. A bedtime story. Hello Moms and Dads ! Here’s a bedtime story for your little ones ! Happy-end guaranteed ! Once upon a time, in the Liverpool’s suburb of Croxteth a baby was born. There are lots of nice suburbs under the often gray skies of northern England, but this one wasn’t candidate for the most beautiful lawn, flower beds and nice chalet style houses. Rusty cars, closed shops, abandoned pubs and rubbish-strewn front yards, that was the newborn’s everyday surroundings. People were scary too; unemployment was the town’s decease and the little boy named Wayne like his dad, grew up knowing that he needed to be very strong, if he wanted to survive and not be obliged to submission by someone else with stronger fists. Wayne’s Rooney house at Croxteth and his room window, Everton decorated. Strong, he surely was; when his father saw him the day he was born (October 24, 1985), he was so much delighted by the baby’s huge hands and ears that cried out: “Look ! 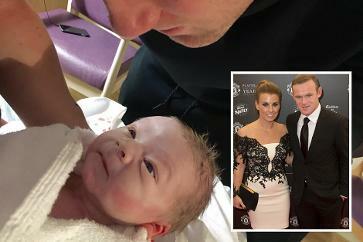 We’ve got ourselves a prizefighter!” As Boxing gear for babies doesn’t exist, the newborn was gifted an Everton football shirt, a baptism at the Everton Fan Club Headquarters and his first football game, all in the same time! Wayne’s Jr family were working class, Irish-Catholic and very much poor. The boy’s father was a construction worker, but was more often unemployed than the family’s bread-winner; it was Jeanette, the mother who put food on the table by working hard as a cleaner and kitchen helper. Playgrounds in his neighbourhood were an unknown luxury and a patch of grass to play the country’s national sport football, even less. Nevertheless, the children always find a way to practice and have fun ; the road became their pitch and their coats tossed down, the goalposts. 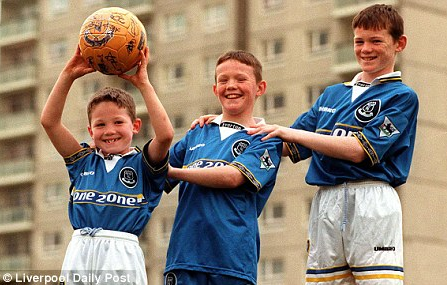 Wayne(left) and his two brothers. Everton the local club, were suffering from the same decease as young Rooney’s suburb; lack of money and silverware, they were very much behind their rivals of Liverpool and they were obliged to relay on their young talents’ help, for the club in the eyes of the fans was “so poor, they didn’t even have a pot to piss in” . Football came two years later, and the youngster showed immediately very promising skills; 99 goals for the local junior league team (Dynamo Brownwings) at the age of 9 ! It catched the attention of Everton’s scouts and signed his first contract with his heart’s club. (he used to wear a T-shirt reading “Once a Blue always a Blue” and decorate his bedroom window with the club’s memorabilia).The youth’s Academy coach, realised very soon that the newcomer had the makings of a world-class player: it happened at an away game vs Manchester United, when a cross landed behind him but instead to chase it, the almost 11 year-old pivoted in a flash and with a spectacular overhead kick, send the ball into the back of the net. 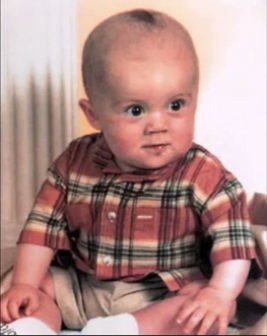 A star was born! Despite his feats the youngster continued to work hard, seeking to improve his game. After school (Our Lady & St Swithin’s PC primary school) and before schoolwork (never his favorite ) he was on the pitch training an hour before the others! Same attitude after the training; he was often kicked out of the pitch and they had to lock the gates to make sure that he couldn’t sneak back in. That boy could dribble blind-without even looking down; he was fast on the ball and when lost possession he chased it until he retrieved it back. His teammates called him ” the dog” a very appropriate nickname for such a dedicated and single-minded behaviour. 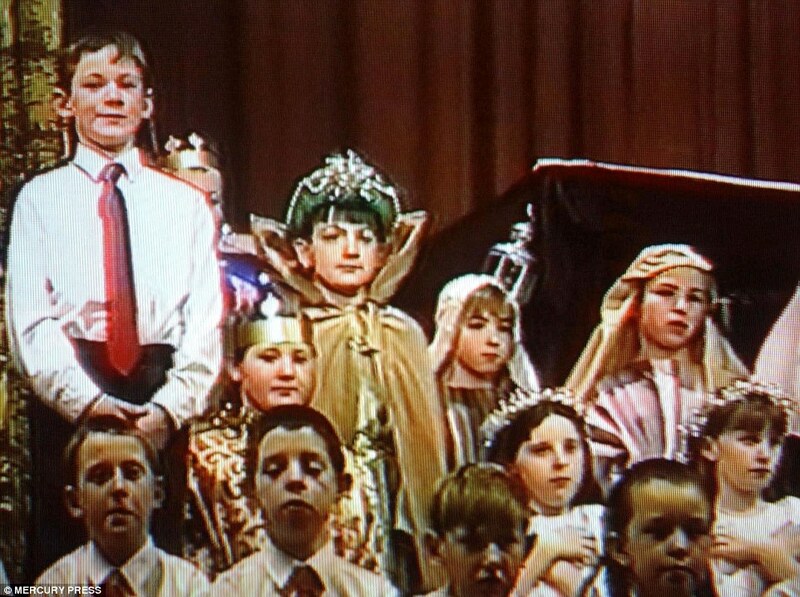 Wayne, singing like an angel for his school’s Christmas pantomime ! Croxteth’s back streets boy was such a precocious player, that he found himself playing with older boys: when he was 9 he played with the 11 year-old; at 14 with the 17 year-old squad. 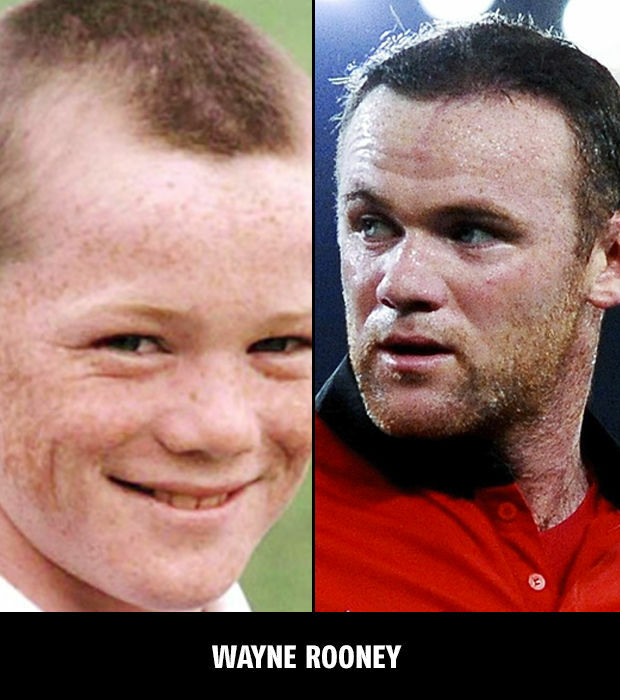 He gained national prominence on the ninth of October 2002 when he became the youngest goalscorer in the history of Premier League at 16 years and 360 days(this record has since been surpassed twice). His goal versus PL champions Arsenal, a last minute winner, brought an end to London’s side unbeaten 30 games run and gave him the key to leave his birthplace for some luxurious place, where money problems they just don’t exist. Some years later he married his childhood love, Coleen(they met at Croxteth) became a proud father and they lived happily ever after! Editor’s note : since then he’s got a third, a baby boy for his football team !